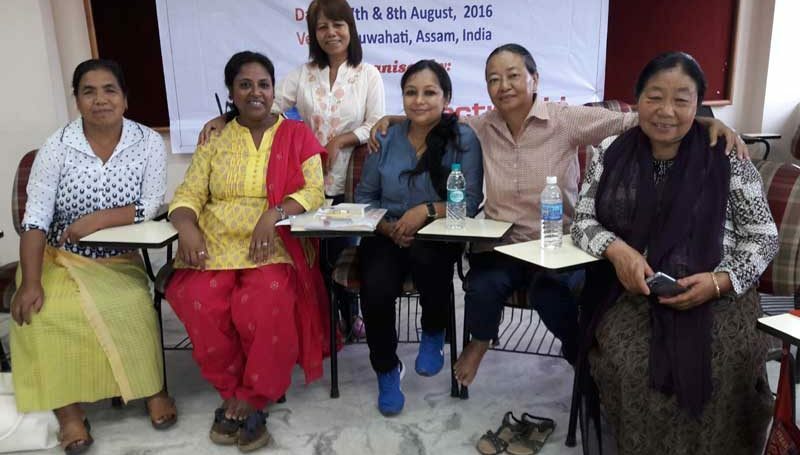 North East Consultation on Women, Natural Resources and Governance was held at Guwahati on 7th and 8th September 2016, Participants from 7 North East States comprises of Women leader’s. The Consultation greatly enriched and capacitate the participants. In the current discourse on gender equity and justice, women’s access and control over natural resources has been one of the core areas of discussion. Women’s rights movements have influenced Government’s and Institutions (national, bilateral and multilateral) to acknowledge deprivation of women in accessing and controlling natural resources. It resulted into amendments in laws and policies both nationally and internationally. The new laws and polices seek to facilitate women’s access and control over natural resources. However, customary norms and practices under the hegemony of the customary institutions, with patriarchal mindsets, continue to stand in the way of realizing gender equity and justice on access and control over the natural resources. The issue becomes more important in neo-liberal era as powerful stakeholders have been making attempts to exploit the resources to their benefit in the name of ‘development’. Exploitation and attempts to exploit natural resources have triggered more contestations and conflicts. In a context where the rights of the communities over natural resources are being threatened, locating women’s views on the current developments and their rights over the resources is critical to understand and execute. As mentioned, contestations over access to and control over natural resources, including minerals, water and land, is often the underlying cause of many conflicts around the world. When managed properly, however, as part of a peace building strategy, these same resources can also be shared and utilized to generate sustainable livelihoods that contribute to promoting and achieving peace and sustainable human development. Women have the potential to play a critical role in this process, as they use and manage land and other natural resources as they perform in day to day living in household and community life. However, use and management do not translate into women being allowed to influence distribution of natural resources or being given a decision making role. Women’s role as managers, users and beneficiaries of natural resources is an often unexplored opportunity for increasing their contribution to development and security. Ignoring the role of women in resource management can perpetuate inequalities and grievances linked to access and control over natural resource. To address inequality and contestations over access and control over natural resources, women’s participation in decision-making bodies and processes and benefit-sharing is therefore a critical condition for lasting peace and development. Women in North East of India like other indigenous women across the world have played a fundamental role in nurturing, conserving and protecting of natural resources, while making a living out of the resources, throughout the history of the people. They are the equal guardian of indigenous knowledge and it is the women, who take equal responsibility to protect and perpetuate this knowledge. The knowledge and skill of weavings, music, songs, costumes, and agriculture, hunting and fishing are all examples of some of our contributions to the world. Women and girls are daughters of Mother Earth and are equal guardians to safeguards what has been left behind by the ancestors. Traditionally, indigenous women and men had equal access to lands, animals and resources, and this was beneficial to the collective. However, as a result of the integration and assimilation efforts of dominant culture, capitalistic systems and the ideal of individual ownership, indigenous peoples, and in particular women, experience fewer opportunities to access their natural resource and lands. So, nowadays the balance and harmony within indigenous societies has been influenced by the dominant patriarchal and capitalistic culture. However, it is important to note that though customary norms have allowed women in accessing the resources, they are denied of their role in decision making bodies and processes. Women’s rights movements in the region too has been perusing women’s role in governance, including that of natural resources. Though customary bodies and Government recognize the issue, changing patriarchal mindsets of the male dominated communities and allowing women in decision making bodies is far cry. The challenges become more prominent in the wake of neo-liberal regime, which envisages exploitation of rich natural resources of the region for ‘development’. The current developments have triggered contestations and conflicts over the resources among various stakeholders. It is important to mention that even in current regime, women continue to play important role of protectors and peace-negotiators. 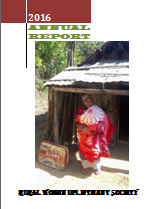 But the core issue of deprivation of women in governance of natural resources continues to exist. Decision-making processes: Women remain largely absent at all levels of policy formulation and decision-making processes related to natural resource and environmental management, conservation, protection and rehabilitation. Their experiences and skills in advocacy for and monitoring of proper natural resource management too often remain marginalized in policy-making and decision-making bodies, as well as in educational institutions and environment-related agencies at the managerial level. Too few governments consult with indigenous peoples regarding environmental laws or policies. Implementation of recommendations: Various declarations recognize the critical role of indigenous peoples in ensuring sustainable development of the environment at family, local, national and international levels. However, a great deal must be done to ensure implementation of such declarations, especially at the national level. Measures that ensure the full and effective participation of indigenous women in implementation, follow-up work and monitoring concerning gender and environment must be adopted. The challenge is to impact the political will of States on environmental issues so that indigenous peoples’ issues and in particular indigenous women’s issues are fully taken into account. Access to and control over resources: The very real issues of social stratification and the socially structured forms of access to power and resources are dynamics at play within a community and must be examined more closely. Indigenous women and men often relate to their environment very differently according to their cultural and social norms and roles. Natural resource development policies must reflect these realities. Capacity-building: It is important to recognize indigenous women’s’ roles, their particular knowledge of ecological linkages and fragile ecosystem management, and that they also often provide the main labour force for subsistence production, including production of seafood. Their role is crucial to the provision of food and nutrition, the enhancement of the subsistence and informal sectors and the preservation of the environment. It is crucial to establish funds for indigenous women’s capacity-building and their participation in meetings at the international, regional and national levels. Capacity-building training of indigenous women will help them gain leadership skills and become community advocates and defenders for indigenous women’s rights to achieve gender equity, including in the area of sustainable development.